Item One: City is currently presenting the inspections that led to condemnation as routine fire-life safety inspections. Yet an April 7 newspaper story quotes the city attorney as saying condemnation was the culmination of months of work. Also, the chief building official (CBO) accompanied the fire-life safety inspector on these inspections. This is anything but routine. Indeed, the CBO — the one person empowered to condemn buildings and declare structural emergencies — was hired on the argument that he would send out inspectors who are the most appropriate yet cost effective personnel for each job. He chose himself. Why? 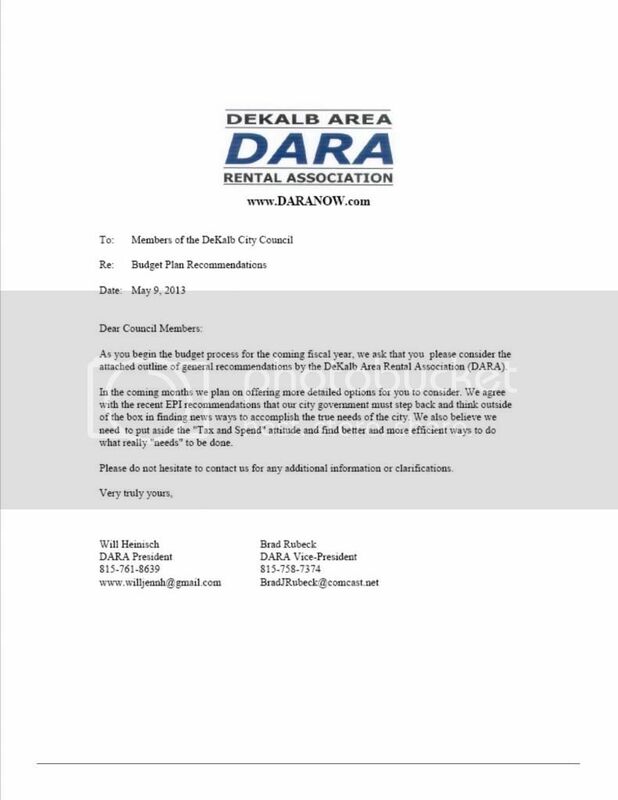 DeKalb city manager Anne Marie Gaura has pulled some police and fire department personnel under the umbrella of DeKalb’s Community Development Department, following private consultation with selected persons but no public discussion. Staff employed in the PD’s Crime Free Housing Bureau, and the FD’s Fire Prevention Lieutenant (FPL), will now report to a Chief Building Official (CBO) in Community Development. Crime Free has several functions related to code enforcement that is centered around property maintenance and criminal incident reporting and tracking, while the FPL conducts Fire Life Safety License inspections and fire-related reviews of building plans. As City Barbs turns nine today, I want to express my pleasure and gratitude to you who have let me know in so many ways that the blog has value to you. I am as excited as ever to begin another year. There’s the fresh smell of grassroots growing in the air and it makes sense to me that City Barbs continues to operate in service of perspectives and ideas that differ from those of the local political-media establishment. Do you come here often? If so, you’ve noticed less frequent postings over the past several months. Schedules come into play, of course, but much of the change reflects a shift to posting more on Facebook. A lot of interesting public documents have come to light since the College Town Partners leak and I can’t resist the Facebook photo album format for displaying pages side-by-side with descriptions of their context. Hope you will check out the group if you haven’t already. Lastly, here’s a plug for some o’ that grassroots freshness. You are invited to attend FOCUS DeKalb’s latest meeting — Part Deux to the town hall that drew almost 100 individuals. Find the deets here: Town Hall Meeting Tonight.